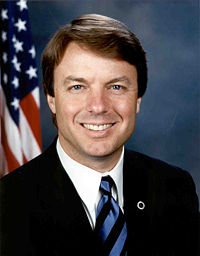 As the trial of former Senator John Edwards actually begins tomorrow in a Greensboro, North Carolina federal courtroom, I just wanted to remind you of my prediction about his fate, last year, shortly after Edwards was indicted on six federal felony charges. You will recall that the criminal charges involve his alleged concealment of over a million dollars in campaign contributions which went toward covering up his affair with Rielle Hunter. My prediction was here. I still stand by my prediction! But will I be right!? In other words, laying aside whatever you might think of Edwards, personally, what do you think a jury will do in this criminal case? As a former federal prosecutor for over 20 years and, currently, as an Augusta, Georgia criminal defense lawyer, I maintain that, generally, the best defense in a criminal case is to essentially admit the act, but deny the intent, or guilty knowledge. It will be interesting to see if a variation of this defense works in this case.